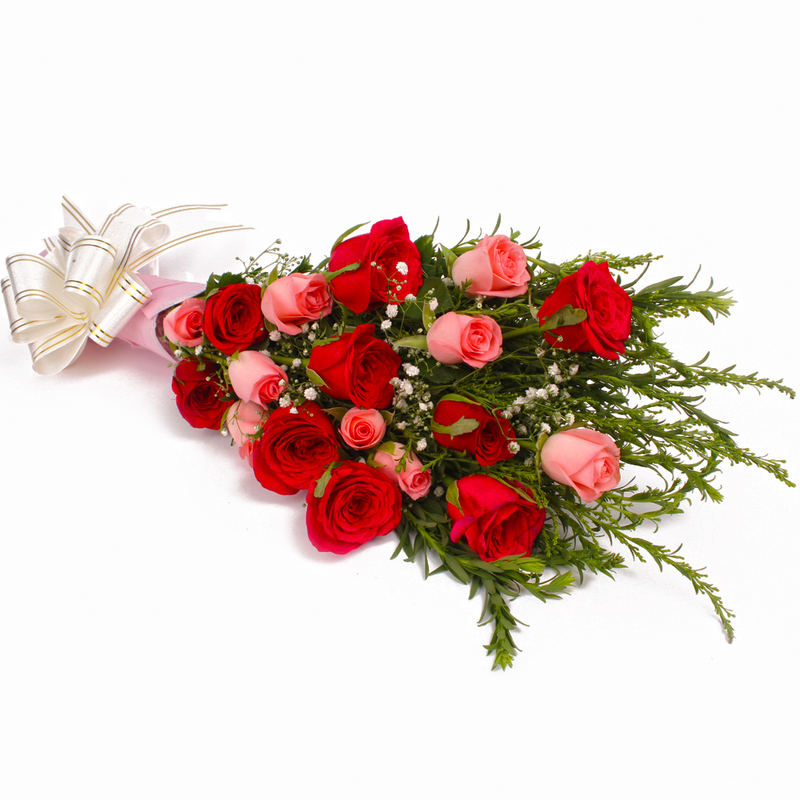 Product Consist : Eighteen Stem of Roses in Red and Pink Color with green fillers in Tissue Paper Wrapping and Ribbon Bow on it. 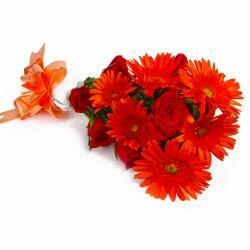 With the gorgeous roses bunch, we let you send love to anyone special to you. 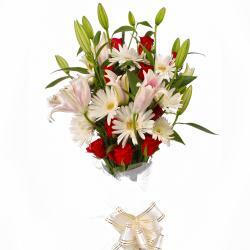 You can make your beloved happy and smile with this fantastic gift that is meant to make memories live forever. 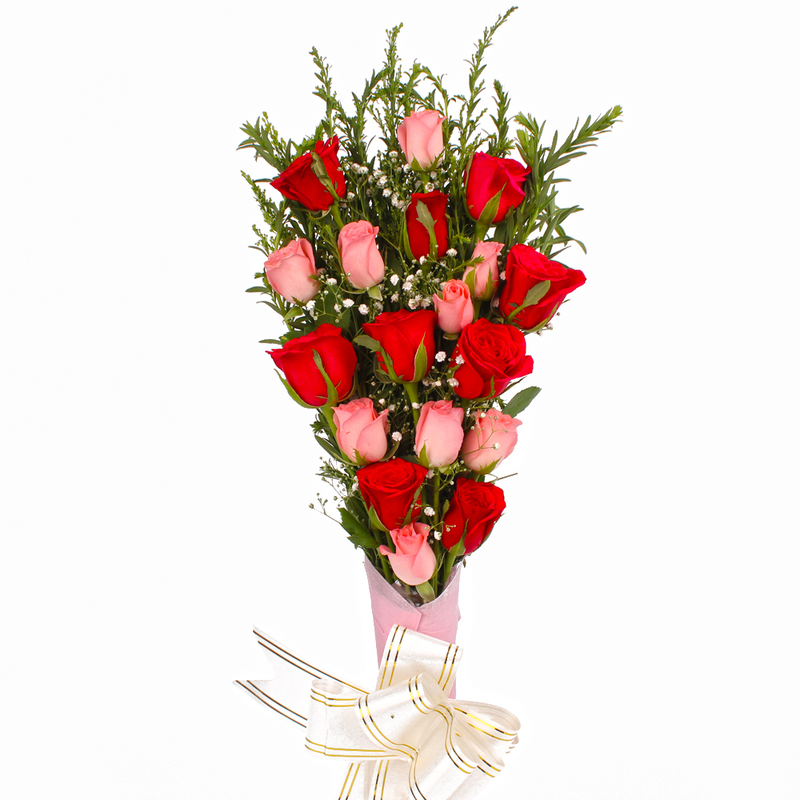 This is a bunch of red and pink roses that are magnificently packed with lots of white fillers in Tissue Paper wrapping. It will look elegant and pleasing to anyone gifted to. 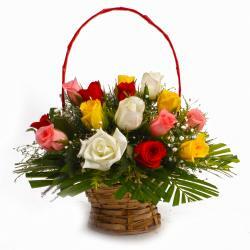 He or she will love to receive it from you on occasions like Birthday, Anniversary, Best of Luck, Durga Puja, Womens Day etc. 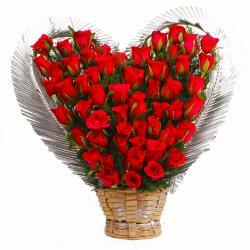 Product contains : Eighteen Stem of Roses in Red and Pink Color with green fillers in Tissue Paper Wrapping with Ribbon Bow on it.